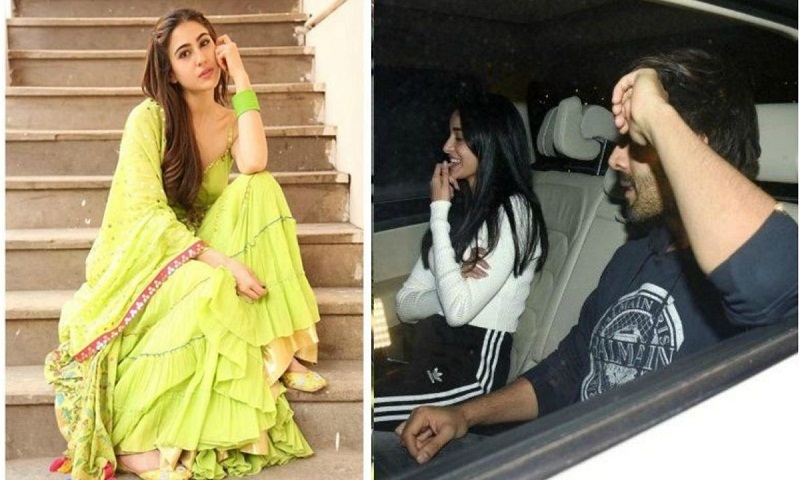 Sara Ali Khan’s admiration for Kartik Aaryan on multiple platforms has been the talk of the town ever since she confessed that she wanted to date him. From Ranveer Singh playing Cupid to Kartik saying he would love to go for a coffee with Sara to rumours of him dating Ananya Panday, everything makes news. Recently, at Famously Filmfare, the Simmba actress reacted to the rumours of Kartik Aaryan’s affair, and said she found him cute and it didn’t matter if he found someone else cute. She also hinted that she knew who Kartik was rumoured to be dating. “I find him cute, it is Sara Sara thing, so how does it matter if he finds some other person whose name starts and end with ‘a’ cute? That’s good for him,” she said. Here is the video. The Pyar Ka Punchnama actor recently said he was “ready for a coffee date”. “As far as coffee date is concerned, Sara’s mother (Amrita Singh) has told her that ‘you should stop talking about it because you have said it many times and now let Kartik react on it’. So, I can just say that I am ready for a coffee date. Sara just needs to tell me the time and place,” he had said. Earlier, in December, during an award ceremony, Sara’s Simmba co-star Ranveer Singh played the Cupid and introduced the two to each other. In the video that has gone viral, Ranveer goes up to Kartik Aaryan after he receives the award and then asks him to meet Sara Ali Khan. The Simmba actress couldn’t stop blushing as Ranveer teased them. On the work front, Kartik Aaryan will be next seen in the adaptation of BR Chopra’s 1978 film Pati Patni Aur Woh alongside Bhumi Pednekar and Ananya Panday.